Providing you the best range of touch point sensor, mechanical type touch point sensor and quick change precision machine vise with effective & timely delivery. 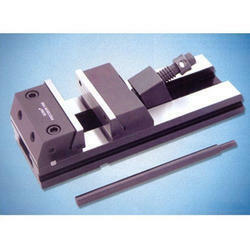 With the constant support of our expert team, we are engaged in offering a huge assortment of touch point sensor. This superior make touch point sensor has created a huge wave of demand in the international markets due to its unique features and cost effectiveness. We make use of finest grade quality basic materials, coupled with latest technology to fabricate this touch point sensor. 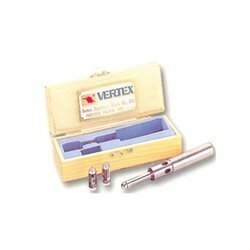 Banking on our enriched industry experience, we are engaged in offering a huge gamut of Mechanical Type Touch Point Sensor. 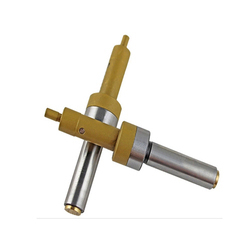 We offer this premier quality touch point sensor mechanical type as per the diverse requirements of various industries. Taking into account the ever changing needs of our international clients, we offer this high grade touch point sensor mechanical type with innovative features and higher efficiency. With the constant support of our expert team, we are engaged in offering a huge assortment of quick change precision machine vise (for CNC VMC). this high performance quick change precision machine vise (for CNC VMC) is largely appreciated for their precise engineering and robust construction. Our entire range of quick change precision machine vise (for CNC VMC) is designed and developed to offer smooth and consistent operation with minimum maintenance cost.